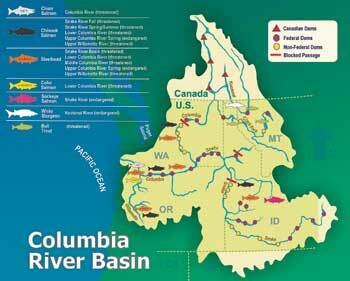 An interview with U.S. District Judge Jim Redden, who’s given uncooperative federal agencies clear warning: Submit a viable salmon restoration plan for the Snake/Columbia River Basin, or face the possible breaching of four major dams. On a spring afternoon in 1963, a controversial and universally disliked Oregon state representative returned to the House chambers in Salem from the noon break, well under the influence of a multiple-martini lunch. When he arrived, a fellow lawmaker — freshman Jim Redden from Medford — was waiting. Having accurately predicted that his colleague would spend his lunch hour getting lubricated, Redden enlisted other legislators to help give the man a special reception. Redden took to the floor and made a motion that the inebriated lawmaker should preside over the Oregon House of Representatives for the rest of the day. And Redden’s practical joke passed unanimously. A group of fellow representatives all but carried the besotted man to the speaker’s platform, where he collapsed into a chair, one foot in the wastebasket, while the other lawmakers commenced his verbal shredding. Legislators from that era won’t name the target of Redden’s practical joke, but they are quick to say the prank was richly deserved. And they tell this and other stories of Redden wit with “I wish I had thought of that” awe. 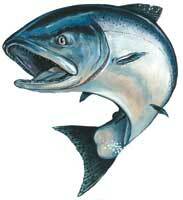 A veteran of complex litigation, Redden is well steeped in the salmon wars. Longtime legal observers say he also is oblivious to the insults lobbed by federal legislators, irrigators and others who benefit from publicly subsidized hydroelectric dams. Only time will tell whether Redden’s carefully worded court orders spur the National Marine Fisheries Service, Bonneville Power Administration and U.S. Army Corps of Engineers to produce a salmon recovery plan that meets the judge’s approval by mid-year. But Redden has made one thing clear: This is the federal government’s last chance. Born and raised in Springfield, Mass., James A. Redden landed his first job at age 13, working in a drugstore. His dentist father urged him to leave high school early and join the Army to take advantage of the GI Bill. He started his tour as a hospital medic with occupation forces in post-war Japan in 1946. Redden returned home three years later, finished high school, attended Boston University as an undergraduate and developed an affinity for the Red Sox that is reflected in the souvenir Wheaties box, baseball cap and baseball books tucked about his spacious chambers in the federal courthouse at the corner of Main and Salmon in downtown Portland. He enrolled in Boston College, married high school sweetheart Joan Johnson, and worked as a ditch digger, janitor, file clerk and holiday extra at the Post Office while earning his law degree. After graduation, Redden followed a professor’s advice to move west, spending a year in Portland working for a title company and then an insurance company before joining the Hugh Collins law firm in Medford. Many fellow jurists admired his work. Redden and his wife, Joan, raised two sons — Bill, a Portland public defender, and Jim, a reporter for the Portland Tribune newspaper. Jackson County voters elected Redden, a Democrat, state representative in 1963 as part of a freshman class that included future U.S. Sen. Bob Packwood and other Oregon notables. “We called him ‘Landslide Redden’ because he won by 200 votes,” says U.S. District Judge Robert E. Jones, then a fellow legislator who served on the Judiciary Committee with Redden. Jones described Redden as “the jokester in the Legislature,” recalling how he would circulate funny notes about bills and fellow legislators.